I love this time of year. 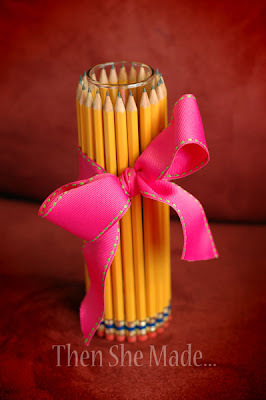 We are gearing up to send the kiddos back to school. The oldest just sewed a fall dress and is dying to wear her leather boots and sweaters. The younger ones are looking up Halloween costume ideas daily and I've noticed a huge spike in reader searches on my blog for fall projects. Could it be that time? Time to start putting out the Fall decor? I'm not there yet, but I'm getting close and I do have some new projects in the works. However, since many of you are looking for ideas now, I thought I'd make it a little easier. 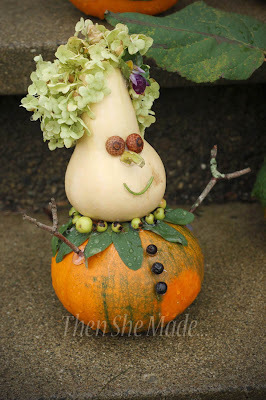 Here's some of my favorite past Fall themed projects and their page links. I'll do a separate post for Halloween ideas at a later date. Enjoy! Fall is a time for baking. 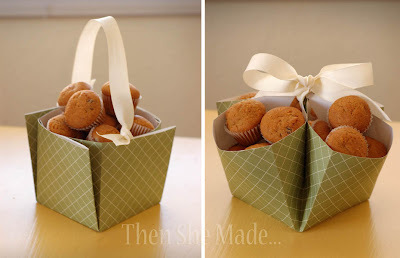 And, who wouldn't love some yummy pumpkin muffins in a cute paper basket. If you are looking for low cost games for a fall festival, here's a quick idea. 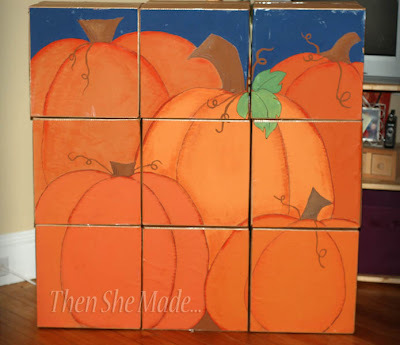 Make your own giant puzzle out of boxes and paint. One of our September family traditions. Makes for a fun family night. Yep, you read that right. 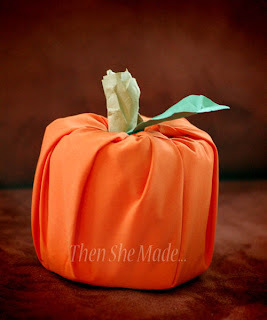 This is quite possibly the easiest way to make decorative pumpkins for your home.